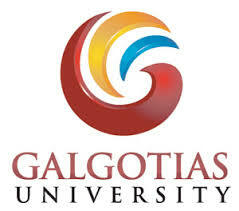 INTERNATIONAL CONFERENCE ON COMPUTING, POWER AND COMMUNICATION TECHNOLOGIES 2018 (GUCON) is being organized by Galgotias University; India on September 28-29, 2018. 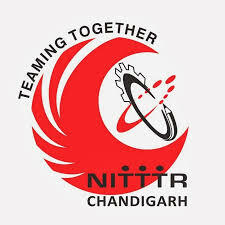 The University is based in Greater Noida (NCR New Delhi, India), has an enrolment of over 19,000 students across more than 100 Undergraduate and Post Graduate program, is devoted to excellence in teaching, research and innovation, and to develop leaders who'll make a difference to the world. 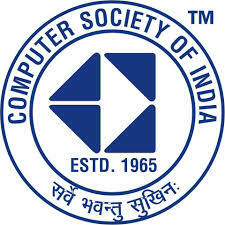 Welcome to Computer Society Of India. Formed in 1964/65 at DRDO, Hyderabad. CSI having 74 chapters , 551+ student branches , 220+ Corporate Members, 1000+ Institutional Members and more than 150000 members. Knowledge Center. Publish Research Paper with CSI Know Your Membership Number ... .. Outlines. IEEE Society Chapters. PES & PES Chapters Goals. PES Chapters Strategy. PES Recourses. PES Chapters Organization .... and covers transportation and up to 2 nights accommodation. Conference registration fee not reimbursable. 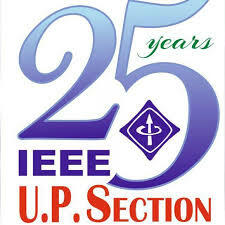 Eligible: chapter chairs, once a year, once in a life for a person ..
IEEE UP Section is the controlling body of all types of IEEE related activities in the state of Uttar Pradesh in India. The Uttar Pradesh Section is located in Region 10, and is represented at the India Council. The Section ..
Vincenzo Piuri is Full Professor at the University of Milan, Italy (since 2000), where he was also Department Chair (2007-2012). He was Associate Professor at Politecnico di Milano, Italy (1992-2000), visiting professor at the University of Texas at Austin, USA (summers 1996-1999), and .. He received his M.S. and Ph.D. in Computer Engineering from Politecnico di Milano, Italy..
Md. Atiqur Rahman Ahad, working in the Department of Electrical and Electronic Engineering (EEE) [former Dept. of Applied Physics, Electronics & Communication Engineering], University of Dhaka, BangladeshHe is a Senior Member, IEEE.. .
Dr. Bhim Singh received the Bachelor of Engineering (Electrical) degree from the University of Roorkee, Roorkee, India, in 1977, and M.Tech. (Power Apparatus and Systems) and Ph.D. degrees from the Indian Institute of Technology Delhi (IITD), New Delhi, India, in 1979 and 1983, respectively. In 1983, he joined the Department of Electrical Engineering, University of Roorkee, as a Lecturer. Currently he is Associate Professor, EE Department, Madam Mohan Malaviya University of Technology, Gorakhpur, Uttar Pradesh. His major field of interest includes Re-structuring, Deregulation, Power System Pricing, Power System Stability, Smart Grid and Quality in Technical Education. He is senior member of IEEE and PES (Power and Energy Society), SGS (Smart Grid Society) and Education Society, Life member ISTE and IE (India), PAC Convener IEEE UP Section. Constructed in 1648 by the fifth Mughal Emperor Shah Jahan as the palace of his fortified capital Shahjahanabad, the Red Fort is named for its massive enclosing walls of red sandstone and is adjacent to the older Salimgarh Fort, built by Islam Shah Suri in 1546. The structure is made up of pure white marble The architect Furiburz Sabha chose the lotus as the symbol common to Hinduism, Buddhism,Bhai Temple Jainism and Islam. Adherents of any faith are free to visit the temple and pray or meditate. Jantar Mantar (Yantra - instruments, mantra - formulae) was constrcted in 1724. Maharaja Jai Singh of Jaipur who built this observatory went on to build other observatories in Ujjain , Varanasi and Mathura. Jai Singh had found the existing astronomical instruments too small to take correct measurements and so he built these larger and more accurate instruments. © Copyright 2017-2020 GUCON. All rights reserved.